…wow i’t been a long time. Just randomly “found” my WordPress Page/Blog again. Last post was January 2015 … over 4 years ago. Do People still blog and does anybody still follow along those things? This is a quick review of the new Canon EF-S 10-18mm f/4.5-5.6 IS STM with some “random” test footage I shot on my way to a client-meeting. Overall a pretty impressive Lens (especially for the Money) on a APS-C sensor like the CANON EOS 70D but also the Canon C100 since the Autofocus really work quite nice and super silent as well. It seem Canon had video shooting in mind by crating that lens. 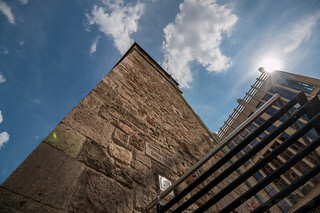 Its sharp and has a nice overall look, there are no noticeable real nasty unsharp edges or corners like the Canon 10-22mm or the Tamron 10-24mm. The non-constant aperture is not really a big issue it seems, the iris works kinda smoothly. The lens just is not made for low light … thats all 😉 Zoom-range is OK, I liked the Tamron 10-24mm for the 24mm but its nothing that i really miss on a super wider angle lens. But thats it … it might not work as good on non auto focus cams and is not as super cinematic as a wide open Tokina 11-16mm f2.8 but then again the Canon EF-S 10-18mm is a pretty nice lens for the money after all. … so i had not as much time as i would liked to have spend for audio stuff but i eventually saw few things in terms of audio. And then there was the Tascam DR-60D of course …. a bit big but nice solution …. very pro but not too expensive… should be a solid audio unit for the money. Well guess thats it for now. Stay tuned for a Samson Recolv A6 vs. M-Audio BX5 “review”, also i quick look at some but get Podcast-Mic’s and some quick tutorials on video and sound in the next few weeks! In the meantime … ROCK ON! IMPORTANT READ THE REST AFTER U WATCH THE VIDEO … U WILL LEARN MORE DOING THAT! now go and edit stuff! 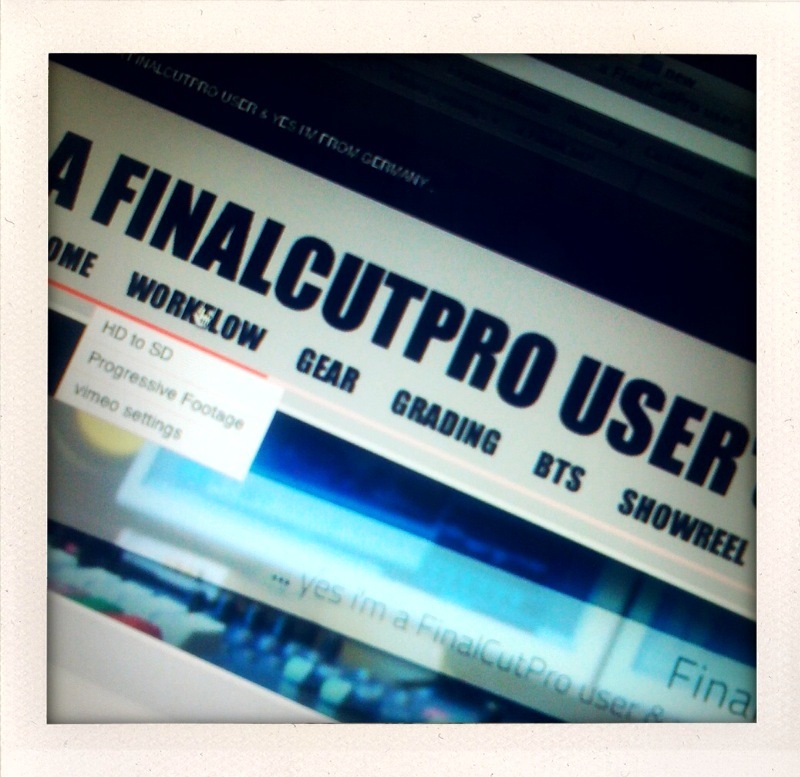 how do YOU lern to use FCP? BTW to learn to use FCP is not the same as to know how to edits a nice piece of film / video / movie – however you would call it … just saying! well long time no post … due to a lot of work has to be done.